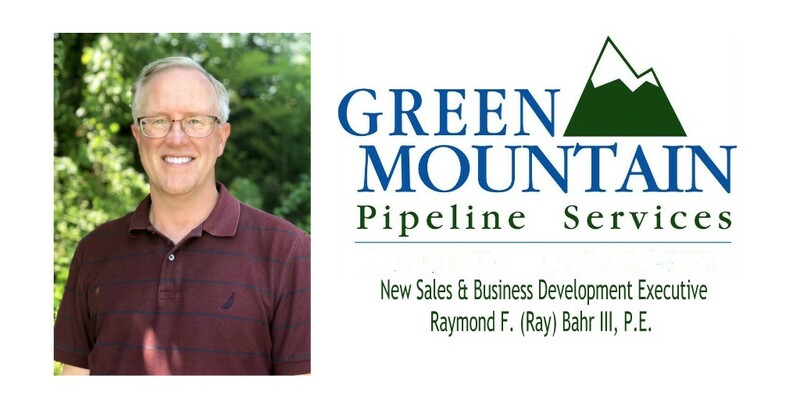 ISG partner and subsidiary company Green Mountain Pipeline Services announces the appointment of veteran business development and sales executive Raymond F. Bahr III, P.E. Ray’s areas of responsibility are focused on expanding the company’s presence in the municipal infrastructure area as well as developing additional industrial/commercial markets to enhance underground infrastructure. This position is a first for GMPS, which this year marks its 15th anniversary of serving the region. With a Bachelor of Science in Engineering from the University of Connecticut and designation as a Professional Engineer (P.E.) in the state of Connecticut, Bahr has significant civil and municipal engineering and technical project management experience in planning, design, and construction of wastewater collection systems. He earned the highest level of collection system certification from the New England Water Environment Association. As a third-generation professional in the wastewater collection industry with a career spanning nearly four decades, Ray has served in various roles as a sales engineer, project development manager, operations manager, and other such positions for water and wastewater infrastructure and pipeline companies in Connecticut, New York and Texas. A resident of Durham, Connecticut, Ray is chair of the Town of Durham Water Commission and has been on its board for 15 years. He is also a board member of the Connecticut Water Pollution Abatement Association and serves as the director of the CWPAA Annual Golf Tournament. In addition, Ray is active with the Water Environment Federation, the American Water Works Association, and the New England Water Environment Association, and has served on the board of directors of NASSCO, the National Association of Sewer Service Companies.